For a band without a full release to their name, Holding Absence have generated an impressive amount of attention in the past year. Singles such as ‘Dream of Me’, ‘Permanent’ and ‘St. Cecilia’ demonstrate huge potential and their live shows carry a remarkable amount of emotional energy. We caught up with the band at Slam Dunk Festival to get the latest news and discuss that all important, upcoming debut record. This year marks the band’s first appearance at Slam Dunk, but they’re no strangers to the festival experience, having had the pleasure of playing Download Festival last year. For a band familiar with small, intimate club venues, their sound carried well in a large tent, helping them emerge as one of the stars of the festival last year. 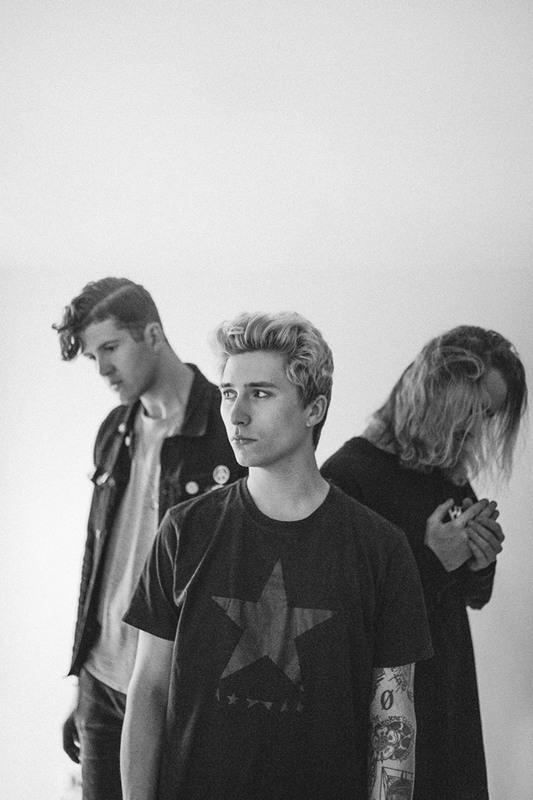 Thankfully, far from being over, the Holding Absence journey has only just begun. Since the release of their first singles ‘Dream of Me’ and ‘Permanent’ back in February 2017, we’ve been treated to a steady stream of songs, up to and including March’s split EP with Loathe ‘This is as One’, and with each track having such consistent high quality, fans are eager to get their hands on a substantial release. While the band are keen to give fans what they’re crying out for, the opportunity to release a debut album only comes around once. Fuelling the anticipation for the release is the sense that we still don’t know what a full length Holding Absence record might sound like. Across the tracks released to date, the band have experimented with a range of genres and styles, flexing their song-writing skills to offer heavy, soft, progressive, anthemic, fast, slow, and everything in between. From the outside, it might seem like this experimentation is the result of a band still trying to find their sound, but Woodland is keen to set that straight. Until then, keep your spirits up by checking out the band’s singles and be sure to catch Holding Absence live at your next available opportunity. Check out Holding Absence on Facebook, Twitter and Instagram.